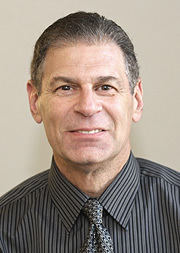 Dr. Friedman received his Ph.D. degree in Industrial/Organizational Psychology from the Ohio State University and his BA degree from the University of Rochester. He teaches Organizational Behavior and Human Resource Management graduate and undergraduate courses. At the State University of New York, he earned recognition for research and teaching, including the President’s Award for Scholarly and Creative Activity, and the President’s Award for Teaching Excellence and served as a Fulbright Scholar to Germany. Dr. Friedman published over 100 journal articles and presentations about entrepreneurship, labor relations, organizational effectiveness, and employee satisfaction in Industrial Relations, Journal of Applied Psychology, Personnel Psychology, Journal of Management Education, and various international journals. He is an Alpha Sigma Lambda honorary inductee, the continuing adult education honor society. Dr. Friedman teaches and conducts research in the United States, Germany, Singapore, Turkey, China, and Japan. He has 25 years of industry experience at ExxonMobil, Xerox, and Harris Interactive where he served in various positions, including Director of Training and Development and Human Resource Manager. Does the International MBA Employment Market Value Awareness of Social Responsibility and Environmental Sustainability? Is Publication of the Reputation Quotient (RQ) sufficient to move stock prices? The prediction of college student academic performance and retention: application of application of expectancy and goal setting theories. Relationship among union membership, facets of satisfaction and intent to leave: Further evidence on the voice face of unions"
The purpose of the research is to compare the extent to which college students majoring in Business and other disciplines are aware of poverty in their communities and around the globe. Surveys will be administered to students attending colleges in the U.S. and colleges on different continents. Currently, 80% of the world's population lives in poverty. In light of the recent downturn in the global economy, poverty rates are likely to increase dramatically in both developed and developing economies. In 2001, government leaders around the world created the Millennium Development Goals (MDGs) aimed at halving the numbers of people living in poverty. They plan to reach this halfway mark b y 2015. The survey may help to provide an understanding of the presence and impact of poverty from local and global perspectives. The results of the study may be a useful tool in helping to prepare students for working in a global environment. The survey participants, by virtue of responding to the questionnaire will, themselves, become increasingly conscious of this social ill and the possible influence, directly or indirectly, it has on overall workplace performance.